However, there are certain requirements that a device should meet in order to keep up with the extreme environment of the aviation industry. An ideal computing technology should be able to last in a fast-paced setting. At the same time, it should have the capability to transmit real-time data efficiently. 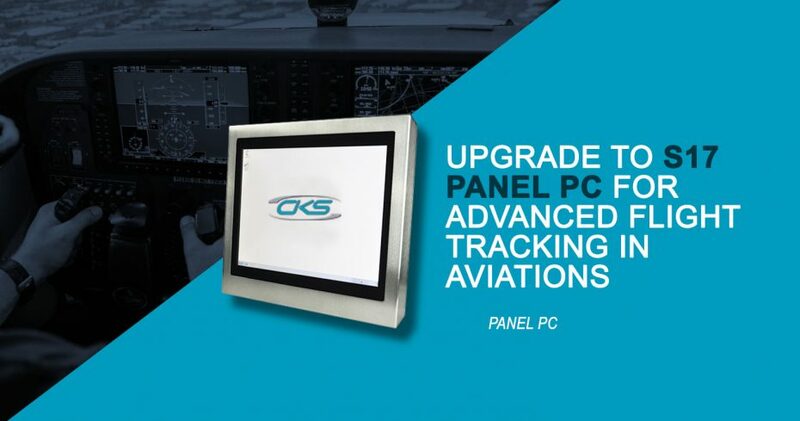 Thus, an S17 industrial panel PC is suitable for optimising flight tracking system. Not only does it have ruggedised components, but also it has qualities that can augment this system. So, how can it be used to streamline the flight tracking operations? Read on to gain insights on its features which can help in improving aviation operations. Navigating complex applications are just some of the challenges that aviation personnel encounter in flight tracking operations. Plus, there is a need to further augment communication and analysis processes through advanced computing technologies. But, installing an S17 embedded PC can help flight officers to use the flight tracking system. Its Intel-based system processors help in streamlining one of the most integral parts of an airport’s operations. And, it can also help improve an overall procedure from the personnel’s end to passenger transactions. A ruggedised 17-inch panel computer has qualities that are advantageous for flight tracking. Here are its benefits and features that can augment flight tracking operations. The aviation industry indubitably has the fast-paced working environment. Devices are most exposed to shock, vibration and heavy usage risks. These 17-inch panel computers have an IP69K seal which guarantees its resistance to the presence of these potential risks. Therefore, it can last for continuous usage over extended periods. Efficiency in accessing files is crucial between all personnel involved in flight tracking. S17 ruggedised panel PC is Ethernet-ready so all personnel can easily access reports over a secure network. In addition, an Ethernet that has a speed up to 1000 Mbps is ideal for faster data transmission. In the aviation industry, there will definitely be large apparatus necessary for flight tracking. The importance of saving workspace whilst improving operation is highly-emphasized in aviation operations. Hence, VESA mounting solution with the 17-inch interface is a great combination of portability and ease of installation. Using a 17″ rugged panel computer frees up an ample amount of workspace whilst providing remarkable computing output. The aviation industry expects that the demand for air transport will increase by an average of 4.3% per annum over the next 20 years (Aviation Benefits Beyond Borders). With this, there is a need to improve flight tracking system to cater to the growing number of passengers. As more and more flight routes continue to emerge, utilising a robust computing device that is convenient to set up is ideal. An industrial-grade 17″ panel computer has these qualities so it can be used in conjunction with larger equipment or even as a standalone device. Contact an industrial computer specialist today to start building an S17 industrial panel PC for an improved flight tracking system. It is an outstanding way for futureproofing and staying on top of the industry.